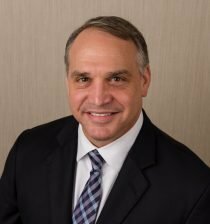 Joseph M. Leone is a Partner with DSV where he focuses his legal practice in the areas of Construction Law and Public Contract Law. Mr. Leone represents all participants in the construction industry, including public and private owners, general contractors, construction managers, design-build contractors, and trade contractors in drafting and negotiating contracts, providing general counsel, and in all types of performance and payment dispute resolution. Through his practice and his prior experience in the construction industry, he has developed particular expertise in alternative project delivery systems such as Integrated Project Delivery (IPD), construction management, both agency and at risk, and design-build. Mr. Leone earned a B.S. in Civil Engineering from Purdue University, a J.D. from the Indiana University School of Law – Indianapolis, and was admitted to the Indiana bar in 1995. Prior to practicing law, he spent seven years as a project engineer/project manager for a large construction company. He is a frequent author and speaker at various seminars on a wide variety of construction law topics both on the national and local levels. He is a member of the American Bar Association Forum on Construction Law and Section of Public Contract Law, the Indiana Bar Association where he is a past chair of the Construction and Surety Law Section, and the Associated General Contractors of America where he is a member of the Project Delivery Forum Steering Committee, and various ConsensusDocs contract drafting committees, including the Integrated Project Delivery and the Cost Plus with a GMP contracts through the Contract Documents Forum. Mr. Leone has received honors and recognitions including, Leadership in Energy and Environmental Design Accredited Professional (LEED, AP), Outstanding Service Award, City of Indianapolis, 1995, Martindale–Hubell® Peer Review Rating, AV, Indiana Super Lawyers® in Practice Area of Construction Litigation, 2013-2019.